The Consumer Electronics Show is more than a convention. It's an opportunity for companies to position themselves as leaders in their respective categories. And with the media -- and more than 140,000 attendees -- watching, there's a lot at stake. Winner Comcast In a keynote speech on Tuesday, Comcast CEO Brian Roberts outlined his company's plan for High-Definition over the next year. And it's a bold plan indeed. HD movie downloads in four minutes. More than 1,000 HD movies and shows available on demand at any time. Portable HD DVR. And so on. While it's arguable that high-def viewers will prefer HD On Demand to DIRECTV's growing HD channel lineup, Roberts made a strong statement that cable is not going to take a back seat to the satcaster when it comes to providing more HD content. Loser DIRECTV Perhaps still exhausted by its series of HD channel announcements late last year, DIRECTV didn't even bother to hold a press conference here. That was a mistake. By effectively ignoring CES, the satcaster allowed Comcast, and satellite rival DISH Network, to dominate the media's coverage of high-def programming issues. DIRECTV should have been here screaming proudly about its expanded HD lineup -- and what it has in store for the future. 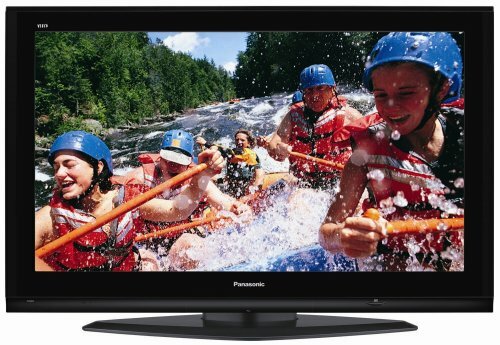 Winner Panasonic The TV maker understands what makes the media tick. So, by unveiling a 150-inch Plasma here -- and calling it the world's largest television -- Panasonic generated headlines in newspapers across the country. It doesn't even matter if the monster-sized set ever makes its way into a home. Winner Sony The leading company behind the Blu-ray high-def disc almost took a victory lap here after Warner Bros. last week endorsed the format over HD DVD. As the week progressed, hundreds of publications wrote stories suggesting that HD DVD is dead. Or, almost anyway. For Sony, it could hardly have gone better. Loser Toshiba And for Toshiba, it could hardly have gone worse. HD DVD's leading supporter was clearly caught off guard by the Warner endorsement and seemed wobbly during the entire show. By Thursday, some were saying that the company might throw in the towel sooner than later. By the end of the week, Microsoft Chairman Bill Gates seemed to be trying to convince people that the company was actually neutral in the format war. Yeah, right. Winner Warner Bros. The studio is being heralded as a kingmaker for its endorsement of Blu-ray. When the history of the format war is written, its decision will be regarded as the pivotal moment in the battle. Winner Mitsubishi The company unveiled its much-anticipated Laser TV -- and the media slobbered over it, suggesting it may be the next big thing. It may be -- but for now, it can only be seen in a medium-sized booth in Las Vegas. The set's promise of better pictures -- and less energy consumption -- still must stand the test. Winner Pioneer The company has done a remarkable job of positioning itself as the maker of elite HDTVs -- sets that are more expensive but worth every penny. Pioneer solidified that perception here by introducing a new technology that promises to remove the light from black colors, creating an even sharper image. Please Freepmail (works best) me if you would like your name added to the HDTV ping list. The pinged subjects will be those of HDTV technology, satellite/cable HD, OTA (over the air with various roof top and indoor antennas) HD reception. Broadcast specials, Blu-ray/HD-DVD, and any and all subjects relating to HD. I have comcast, and Dish too,, basic package only .. no HD tv yet,, a 60 incher should be about right.. Thanks for the ping. I enjoyed the post. I have a Sharp Aquos that has a digital port for connection to a computer. I have connected two different computers to what should be just another monitor. I have selected the correct input mode on the TV. I guess I’m a bit of a loser since I bought an HD-DVD player and several discs for Christmas. I won’t be buying any more content until this settles down. At least it does a good job of upscaling regular DVDs. What kind of port is it? Are you using it as a second monitor on your computer? What exactly does that mean? Can Blu-ray DVD writers read them? Can updated DVD media readers for PC's allow existing Blu-Ray drives to read them? I have a Toshiba 57” DLP HDTV with the HDMI and VGA ports, its a true 1080P reverse projection, its actually the last model of a RPTV DLP that Toshiba is selling, they shifted to LCD.Currently I have an up converting to 1080P Sony regular DVD player with HDMI and Toslink to my older non-HDMI Teac A/V reciever, For right now cause I am waiting for an HDMI cable from Monoprice I have my Xbox 360 hooked up by VGA, stunning colors is an understatement. I rarely see silkscreen effects but on the lower res pictures like broadcast shows at 480I the blacks look muddy and basically anything on broadcast (through Dishnetwork) still looks like crap, I was waiting for Dish to offer more HDTV channels before I invested in the extra dish and receiver so all of this is good news. As far as HD DVD I still think its up in the air and I have not bought into either format yet, I expect a lot of people feel the same way and are holding back as well but it looks like Blu-Ray (Clinton?) is ahead of HD DVD (Obama) for the time being, just going to have to see who has the most bucks and under table advantage. I like the idea of laser TV but I thought the LED was a better idea, and from what I know the OLED is the best contrasting image bye far.Actually right now the prices are really coming down on RPTVs, I saw what was a $5,000 WEGA selling for $1,000 at Fred Meyers, even Plasmas are dropping again as they seem to be off market. My next purchase will be a projection system and a 120” screen. I am connecting with a DVI cable to what I presume is a DVI port, it accepts the DVI cable and is indicated as the correct port in the TV manual. I have tried to use it as a second monitor on a dell lap top. That offers problems with size, resolution etc. In a fit of brilliance I now have it connected to a Dell running Win millinium with no other monitor. It should plug up and work. Since it doesn’t work, I can’t see what windows might be telling me. I have connected a different laptop to the S video port and it worked, but I want the better quality digital that seems to be possible. I have hundreds of pictures from a recent two month vacation I want to see in all their glory. I've been holding out for LHDTV. Would you advise being a buyer of the first sets? Or would it be better, as someone recommended on the other thread - Mitsubishi ...Introduces New Category of Large-Format Televisions (Laser TV) - to wait in case any bugs need to be worked out? Actually, a better question is: what are you going to buy and when are you going to buy it? LOL! Comcast CEO Brian Roberts outlined his company's plan for High-Definition over the next year. And it's a bold plan indeed. HD movie downloads in four minutes. More than 1,000 HD movies and shows available on demand at any time. Portable HD DVR. And so on. Do you know what the native resolution is for your Aquos? It may accept a signal over DVI, but unless you have the correct display size specified on the computer, the TV will probably ignore it. I was able to get a PC working with my Panasonic wide-screen, but the TV was very picky about what it would tolerate. I spent while today messing with the laptop/Aquos connection. I tried to connect an old millenium computer and failed. On The hardware list though was Sharp LCD as a monitor. That means windows recognized the Aquos monitor and the new cable must be ok. The sharp manual lists several resolutions including XGA 1024x 768. So, that’s the resolution Ive been working with. The Dell navidia driver lists 1920 x 1200 that is shown by a source on Gooogle as a common TV resolution. I can’t get any of it to work. When dealing with a laptop, there is the 2nd monitor problem. Somehow the laptop knows the sharp is there but won’t allow it to be accessed by the display properties.